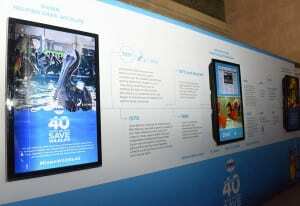 The activation highlighted 40 years of campaigns and support for wildlife organizations. 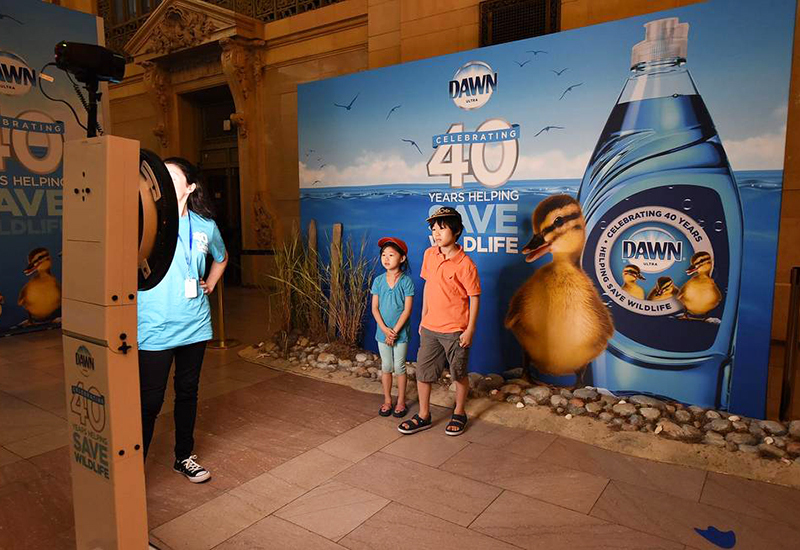 Dawn dish soap launched a new campaign celebrating its 40 years of wildlife programs that have rescued more than 75,000 birds and marine mammals affected by oil spills and environmental catastrophes with a press event and consumer experience in New York City’s Grand Central Terminal on July 19. 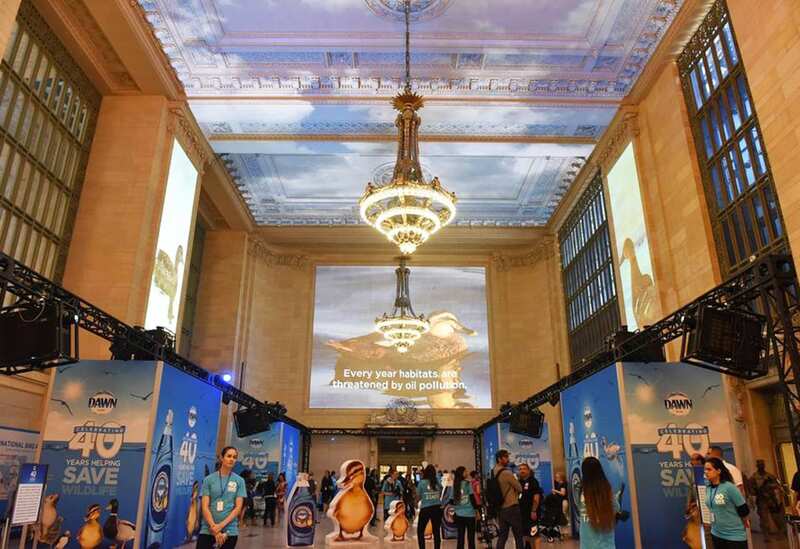 The activation, designed to highlight four decades of campaigns and support for organizations such as the International Bird Rescue and The Marine Mammal Center—and capture the attention of cause-minded millennials in the process—included projection-mapped 3D content across the iconic ceiling of the venue’s Vanderbilt Hall, a GIF station, a photo op with oversized 3D ducklings, a contest with partner Boxed and educational assets. When consumers entered Vanderbilt Hall at Grand Central—either by simply passing through, noting signage throughout the station or being directed by brand ambassadors holding blue Dawn balloons at the terminal’s entrance—immediately apparent were the massive projections of animals sweeping across the ceiling. An otter swimming, ducks waddling, birds flying overhead and across the hall. Such interstitial wildlife scenes came and went, with the crescendo of the video loop building to Dawn’s commercial spot, “Lean on Me,” at the end. The event included projection-mapped 3D content, a GIF station and a photo op with oversized 3D ducklings. 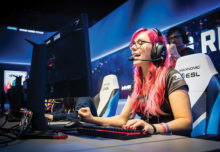 A key component of the anniversary activation was creating digital videos of the event—from load-in to the early-morning press event featuring actress Kate Mara to the consumer experience—with the goal of sharing on social platforms and expanding reach. 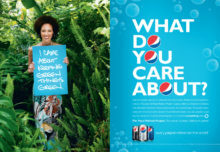 “The share-back video serves as a critical awareness piece to connect with consumers on a shared platform, and specifically consumers’ shared love for nature’s delicate creatures and the support of organizations dedicated to rescuing and rehabilitating the wildlife we couldn’t imagine this world without,” says Decker. Dawn is also hosting the “Golden Duck Contest” through Oct. 6, where families get a chance to win a wildlife experience by purchasing a 40th Anniversary Bottle of Dawn and submitting a photo of the receipt to dawndishsweeps.com. The winners will be flown to the brand’s wildlife partner locations to get an inside look at how Dawn helps save the animals. Agencies: Citizen Relations, New York City; Cramer, Norwood, MA.